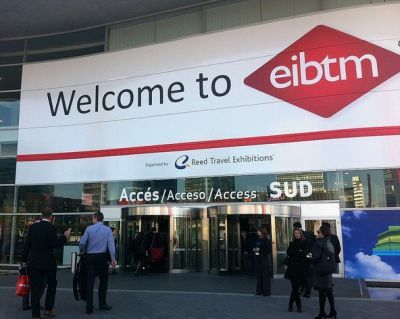 EIBTM (European Incentive and Business Travel and Meetings Exhibition) celebrated 25 years at Barcelona last week and WTM (World Travel Market) has been going since 1980. 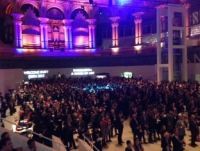 Having attended virtually every WTM your Editor had never been to EIBTM, but when the opportunity arose to join a sponsored “Hosted Buyers” flight he jumped at it. Air Charter Travel Ltd organised the whole exercise using a Thomas Cook Airlines’ Airbus A321 out of the much refurbished Gatwick South. The shows are owned by Reed Exhibitions Ltd, and on first impressions, arriving at Barcelona’s impressive Gran Via Fira last week, the two look very similar. Even the halls are alike with London’s Excel clearly the larger, benefiting from the boulevard concourse, effectively splitting the space into two. Superficially the same but in practice the exhibitions pursue totally different markets. Entering the hall the stands look the same (in fact for the most part retrieved from WTM just a couple of weeks earlier), but that is the end of the similarity. EIBTM is primarily aimed at the meetings, conference and incentive travel business (MICE). It has always been very much internationally focused in terms of attendance. Some 4,200 serious buyers from all the world were flown into Barcelona, all paid for by the show and its supporters. WTM reaches for a wider, for the most part UK, audience of travel agents who deal with the general public. EIBTM has a number of different aspects: A one-to-one requirement exchange, with many stands featuring a table and two chairs, but with a glamorous travel background. There is a professional educational programme (remarkably 110 sessions are squashed into three days) including industry trends, technology, sustainability and business travel education streams; what is called the ‘association programme’ sponsored by national tourist boards and international associations. Also featured are three sessions covering the politics of travel, what is termed ‘meaningful events’, and an agency programme. Networking is a big feature of the show. For the first time this year EIBTM hosted a Business Travel Pavilion, which will be replicated (in a much larger format) at Excel next November with BTM (Business Travel Market) alongside World Travel Market for two days. 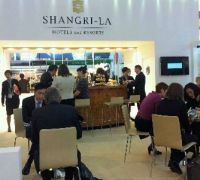 EIBTM visitor figures have not yet been announced but are likely to be around the 15,000 for 2011. The hall had a buzz about it but according to Ute Asmus, Global Research Manager of AirPlus, the global business travel payment provider, business is slowing down and the total industry figures were likely to be reduced slightly this year. She spoke at a Business Trends session. American Express came up with its industry forecast indicating growth in China but at the best a flat market in Europe. Nothing surprising. Reed used the opportunity of announcing IBTM India which will take place at the Grand Hyatt in Mumbai from 12-14 September 2013. The Future Technology area continues to grow we were told, welcoming back the popular Future Events Experience where attendees had the opportunity to interact and learn about the latest innovations in technology within the industry, such as virtual projection, augmented reality and much more. Social Media was the buzz word this year, and how it can work in the travel market place. ACTE consultant Rana Walker told delegates that many in generation X and Y already considered emails passé, and advised on ways businesses can harness social media tools to communicate both internally and externally. Norbert Stockman of German on-line consultancy Amiando said that Facebook was the market leader with 84% using the resource, followed by Twitter with 61% and Xing for the German speaking market with 46%. LinkedIn is aimed at professional users and attracts 42%. Google is now tackling the market and is expect to become a major player. 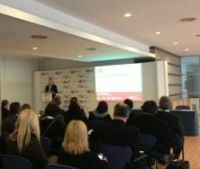 EIBTM has confirmed that the show will remain in Barcelona until at least 2016 and will continue to be hosted in the Fira Gran Via. For 2013 the dates are 19-21 November.